Newbury College is located at Monks Lane, Newbury. The College offers around 2,000 full- and part-time courses. Full-time courses cover a range of vocational subjects from entry level to HNCs. Part-time courses cover a variety of subjects from leisure to professional and post graduate qualifications. The College operates out of 50 venues across West Berkshire. Programs are offered in the fields of Accountancy, Leisure, Art, Design and Photography, Basic skills, Beauty, Business administration, Sport, Health and Safety, Hair dressing, Engineering, Construction, etc. Welcome to Donnington Valley Golf Club, the friendliest golf club in the area. Owned by Sir Peter Michael, Donnington Valley Golf Club is the sister company of the 4-star Donnington Valley Hotel, The Vineyard at Stockcross, and The Vineyard Cellars, a supplier of Fine Californian Wines. The Course, re-designed and lengthened between 1998 and 2000, is set in beautiful rolling countryside, and is now a challenging 6353 yards, 18 hole, par 71 from the back tees. Although some of the holes are quite forgiving the closing four holes are regarded as one of the toughest finishes in the country, with water featuring prominently on 15th, 16th and 17th holes. Set against the picturesque backcloth of the Hampshire Downs, Newbury and Crookham offers views of enchanting woodland and beautiful parkland, a visual delight, meandering from Greenham Common to Newbury Racecourse and back. Although under 6,000 yards the course has the feel of being much longer and is a tight 18 hole challenge where accuracy is all-important. Improvements in the past few years, undertaken to modernize the course, have taken place under the guidance of the internationally known Course Architect, Howard Swan. The course offers magnificent vistas at almost every high point and from the 7th tee it appears that almost the whole of Berkshire can be seen on a clear day. The Club has a busy calendar of competitions and during most weekends in the playing season members can take part in competitions of varying formats. 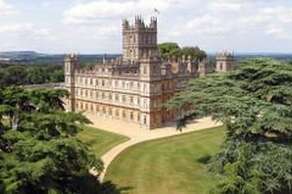 The history of ancestors living at Highclere can be traced back both through the landscape and early written records. An Iron Age Hill Fort dominates the southern landscape at Highclere, whilst an early Anglo-Saxon charter dated 749AD records the existence of buildings around the present site of the Castle. Later records reveal a medieval palace built during the twelfth and thirteenth century which was later succeeded by a much admired red brick Tudor house. 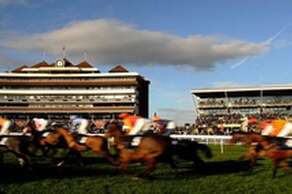 The first recorded racing at Newbury took place in 1805 with ‘Newbury Races’, an annual two day race meeting at Enborne Heath. The meeting lasted until 1811 when it transferred to Woodhay Heath until 1815.Newbury Racecourse didn’t come into existence for another 90 years when Kingsclere trainer, John Porter proposed a new racecourse at Newbury. The Jockey Club had laid down strict qualifications for new racecourses and after Porter’s plans were rejected several times, a chance meeting with King Edward VII brought about a further application which with the King’s support was approved by the Jockey Club. We are here to make your stay as enjoyable as possible. If you have any special requirements please let us know in advance of your arrival if possible. It is always best to reserve a table should you wish to eat with us as we are unable to guarantee availability and times unless we know.